50% of all WAN traffic comes from the cloud. 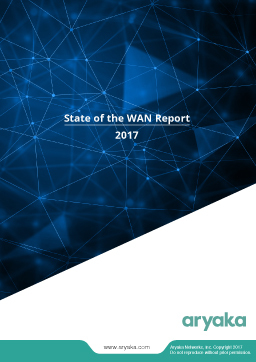 Download our report to find out what this means for your WAN architecture. Global WAN traffic has increased by 200% in 2016, and the volume of traffic is steadily increasing. 100 Mbps links grew from 5% in 2015 to 25% in 2016. What’s causing this rapid growth in infrastructure?